Miguel Pérez-Espejo Cárdenas is recognized as “an extraordinary violinist and a human being of impeccable character, with an outstanding ability to interpret from the heart” (Aaron Rosand), “…a very strong leader… a magnificent soloist, with a beautiful tone, impeccable intonation and rhythm… wonderful musicianship and artistic sensibility” (Stanislaw Skrowaczewski), whose performances have been praised by critics from The Boston Globe to The Daily Telegraph (U. K.), the chief music critic of which, Mr. Geoffrey Norris, wrote about him: “It was extremely impressive, and I was struck particularly by the Bach Chaconne, of exceptional maturity and expressive depth”. A winner at The Olga Koussevitzky Competition in New York City, he also won the Chautauqua Institution Competition and was a Prize-winner at the Murcia International Violin Competition. He was a Fulbright Scholar sponsored by the Ministry of Culture of Spain, and has received numerous awards and distinctions, among which stand those of the Theodore Presser Foundation, the SÉNECA Foundation from Spain and the New England Conservatory’s George W. Chadwick Gold Medal. He is a Member of the prestigious Real Academia de Bellas Artes Santa María de la Arrixaca (Royal Academy of Fine Arts Santa María de la Arrixaca), Spain, and he has been awarded the Paul Harris Fellow Prize, the highest distinction of the Rotary Club worldwide. He was invited to join Pi Kappa Lambda, the Honor Music Society of the United States, of which he is a member since May 2009. Dr Pérez-Espejo has concertized widely in Spain, Europe, Asia and the United States, in venues that include Lincoln Center in New York, Symphony Hall and Jordan hall in Boston, the Auditorio Nacional (National Auditorium) and Teatro Monumental in Madrid, the Palau de la Música in Valencia, Baluarte y Centro de Congresos in Pamplona, and the historic Chautauqua Institution Amphitheater, as well as the concert halls of Zaragoza and Murcia. He has performed with orchestras such as the Spanish Radio and Television Symphony Orchestra (RTVE), Orquesta de Valencia, the Gardner Chamber Orchestra and the Murcia Symphony. He has performed with some of the great conductors of our time, including Andris Nelsons, Rafael Frühbeck de Burgos, Bernard Haitink, Charles Dutoit, Christoph von Dohnányi, Stanislaw Skrowaczewski, Sergiu Commisiona, and Leonidas Kavakos. Committed to the music of our era, recent and upcoming performances include world premières of works written for him by two of Spain’s foremost composers: Miguel Franco’s Sinfonía Concertante, Op. 87, and José Zárate’s Violinesca, both for violin and orchestra, as well as the American première of Zárate’s Canto para violín solo. Sponsored by institutions such as Banco de Santander, The Rotary Club, Spanish General Consulate, Instituto Cervantes, SÉNECA Foundation, Cajamurcia or Caja de Ahorros del Mediterráneo C.A.M., Pérez-Espejo has offered numerous recitals in cities like Chicago, New York, London, Valencia and Boston, and at the Real Academia de Bellas Artes de San Fernando in Madrid. He has performed in live radio broadcasts for the Spanish National Radio (Radio Nacional de España), Spanish national Television (TVE), and Canal Clásico. Pérez-Espejo co-directed with Antonio Muñoz Molina and performed in the concert series Spain in Chamber Music at the Cervantes Institute in New York City. He has recorded for the RTVE MÚSICA label, among others, releasing the first Spanish recording of the Elgar Violin Concerto (live) as well as the recital CD “Música española para violín y piano”, devoted entirely to Spanish music. He was one of the four violinists invited by the Fundación March of Madrid to perform in the concert cycle Sarasate y otros virtuosos, commemorating the 100th. Anniversary of Sarasate’s death, and directed and performed in the recital cycle El violín hispano at Boston University’s Tsai Performance Center, sponsored by Banco de Santander, Instituto Cervantes and the Department of Romance Languages at Boston University. He has been featured in the newspaper El Mundo and in the music magazine Melómano. As chamber musician, Pérez-Espejo has performed with international artists such Roberto Díaz, James Dunham, Ann Hobson Pilot, James Buswell, Chee-Yun, Laurence Lesser, Colin Carr and Paula Robison. He has been guest artist in international festivals in the United States, Canada and Europe. He concertizes extensively with his wife Hsin-Lin Tsai as the acclaimed L'Étoile violin duo, which has been praised as “extraordinary” by critics and audiences. A pupil of distinguished concert violinist Aaron Rosand, his teachers include Michèle Auclair, Yuri Mazurkevich, Eric Rosenblith, and Joaquín Palomares, and received special private instruction from the late Pina Carmirelli, founder of I Musici. He holds degrees with the highest Honors and Distinctions from the Murcia Superior Conservatory (“Profesor Superior de Violín"), the New England Conservatory of Music in Boston (B.M. ; M.M. ), as well as the Artist Diploma from the Guildhall School of Music and Drama in London. He received his Doctor of Musical Arts degree from Boston University. Committed to passing on his unique artistic background, Dr. Pérez-Espejo has been invited as faculty to teach master classes in festivals in the U.S. and Spain. His students have won first prize in numerous competitions and auditions and have gone on to leading institutions such as the Cleveland Institute of Music and Princeton University. 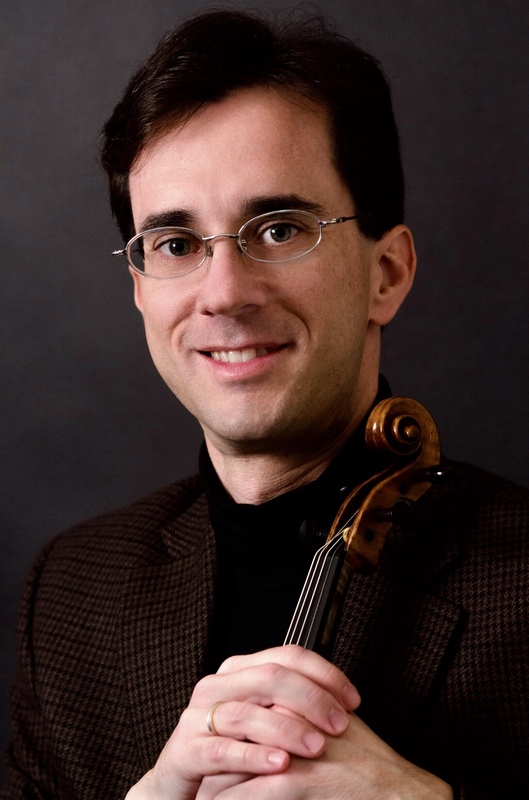 On the faculty at Bridgewater State University, he is affiliated faculty at Tufts University, and in the summer he teaches at the Boston University Tanglewood Institute, where he also served as Strings and Chamber Music Coordinator. He performs with the Boston Symphony Orchestra. Photo credit Jane Akiba Photography.